poori masala recipe | potato masala for poori | how to make poori masala with detailed photo and video recipe. 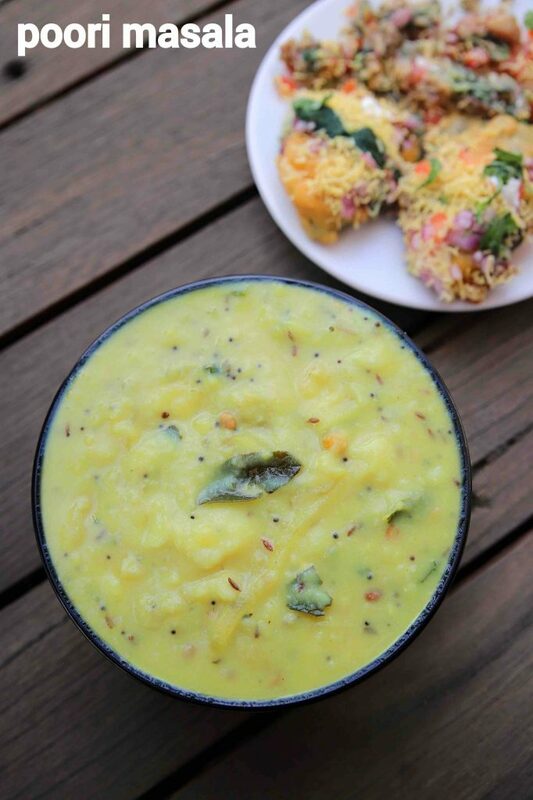 a simple and easy potato mashed curry prepared as a side dish to poori or for dosa. it is typically served in a fast food restaurant as a side dish to poori for morning breakfast. 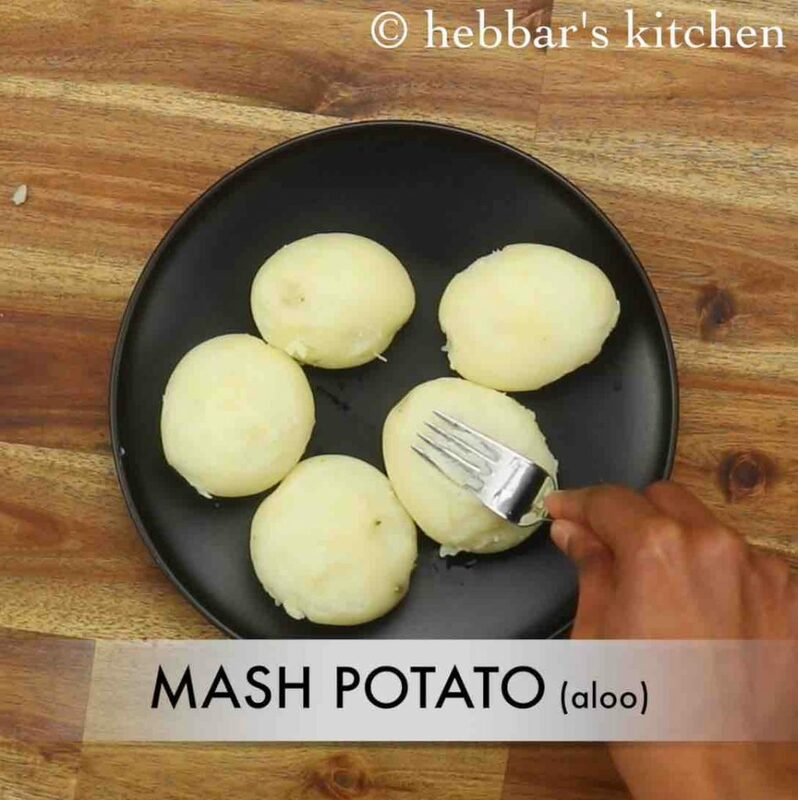 it is very simple dish made by mashing the boiled potatoes. poori masala recipe | potato masala for poori | how to make poori masala with step by step photo and video recipe. indian recipes deal with many dishes which are made a pair and served together. typically it is either rice or curry or perhaps bread or a sabji recipe. one such simple recipe is a thick mushy poori masala recipe served with deep-fried poori’s. 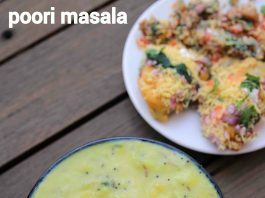 i have posted several variations of potato curry recipe, but this recipe of poori masala is very unique and special. this recipe certainly can be used as a side dish to different indian flat breads, but an ideal pair for the deep fried indian flat bread pooris. 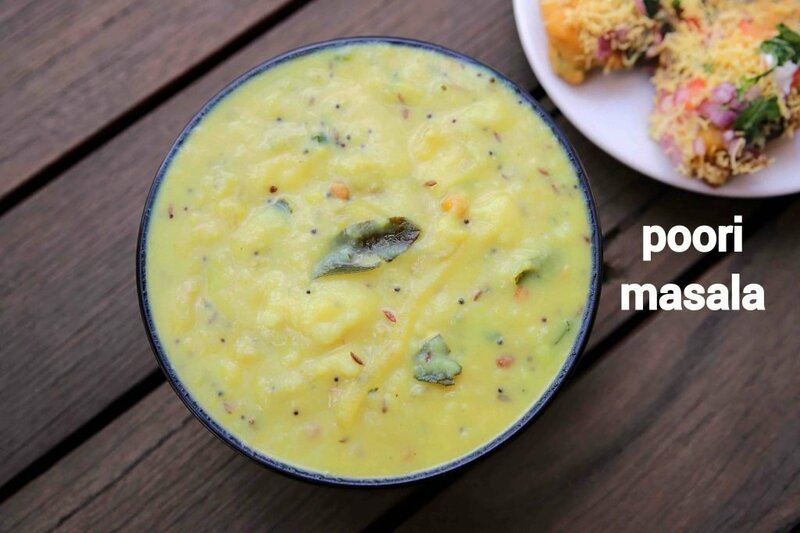 these semi-liquid potato mashed curries are the favourite curry for many fast food eaters in cosmopolitan cities. 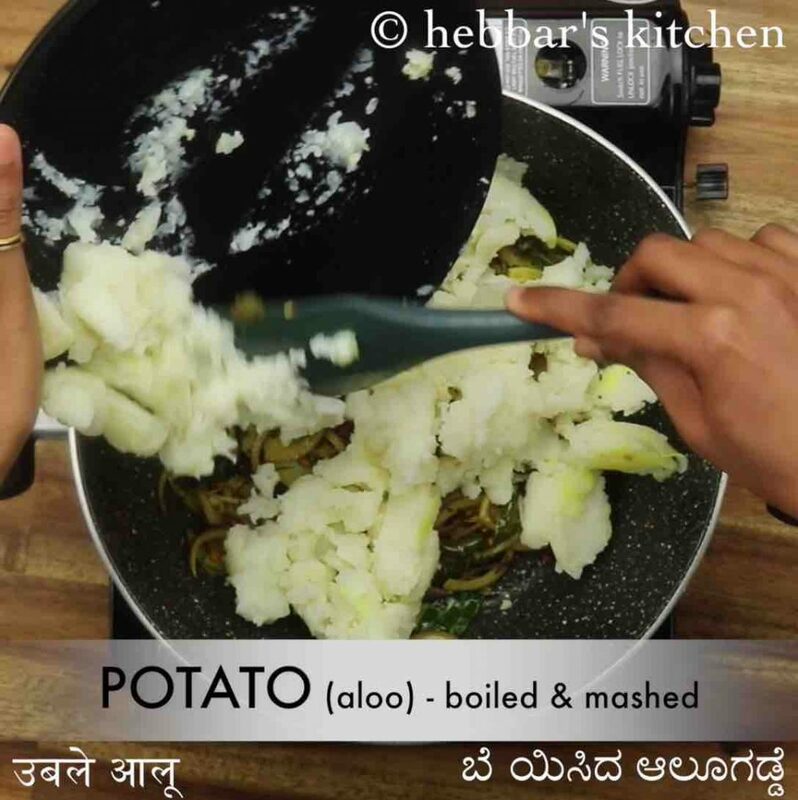 there are many variations to this poori masala where many prepare it with just potatoes and some make with onions. 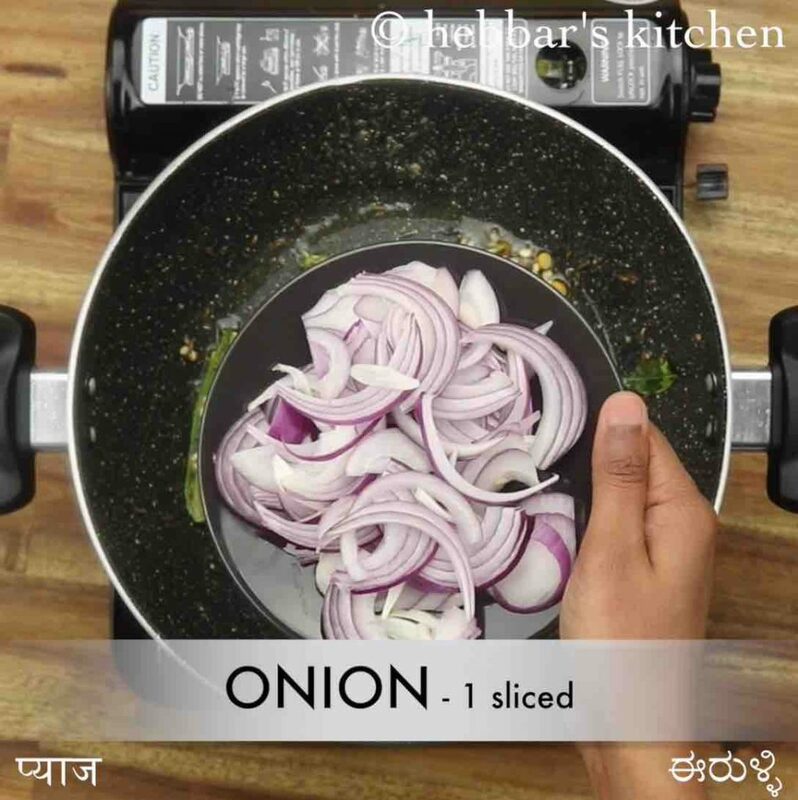 i have added onions in this recipe, at the same time i have added besan or chickpea flour which adds a nice texture and consistency to the curry. 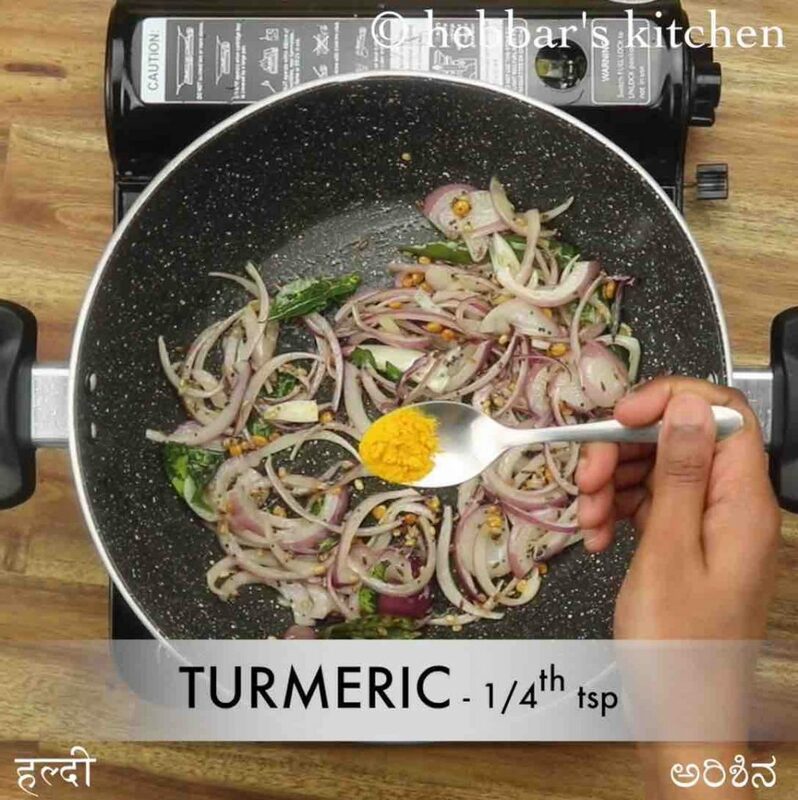 adding the besan to the curry mixture is followed in many fast food restaurants, and i thought the same version in this post too. furthermore, some easy and clever tips for a perfect and tasty poori masala recipe. firstly, in this post, i have boiled and cooked the potatoes separately in a cooker to haste the entire cooking process. i would recommend the same to you as well, and as a tip, you can cook the potatoes well ahead in advance too. secondly, once the curry is cooked, it has to be served immediately or it may thicken and may lose its consistency. hence i would heavily recommend to reheat and add some water while heating or just before serving. 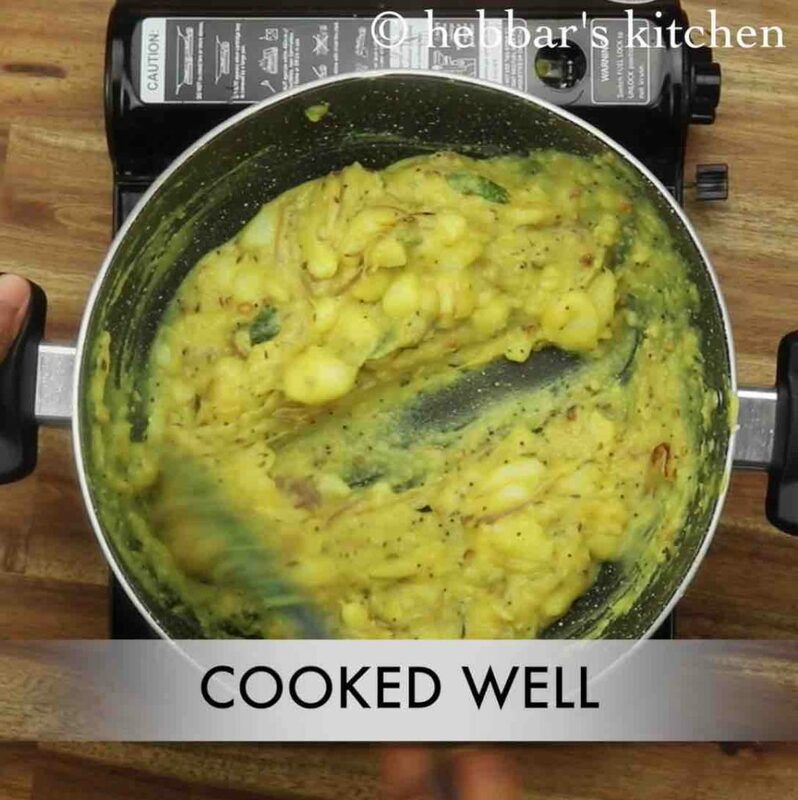 lastly, adding besan or chickpea flour is completely optional and hence can be ignored safely. 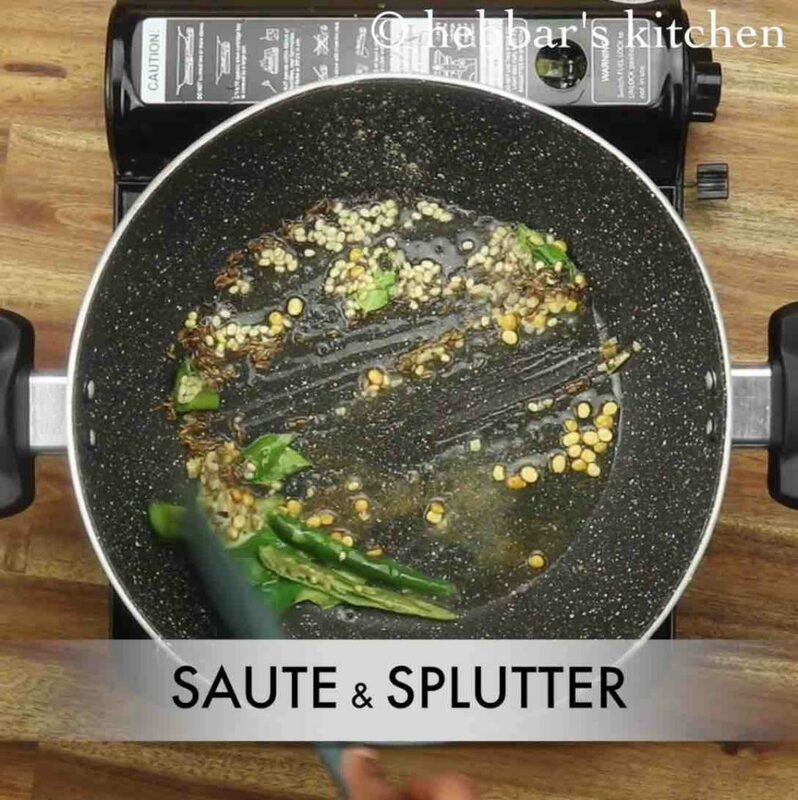 firstly, heat 3 tsp oil and splutter 1 tsp mustard, 1 tsp chana dal, ½ tsp cumin, 1 tsp urad dal, pinch hing, few curry leaves, 1 chilli and 1 inch ginger. saute and splutter on medium flame. further, add 1 onion and saute well. do not brown the onions. additionally, add ¼ tsp turmeric and saute for a minute. now add mashed potato, ½ tsp salt and mix well. 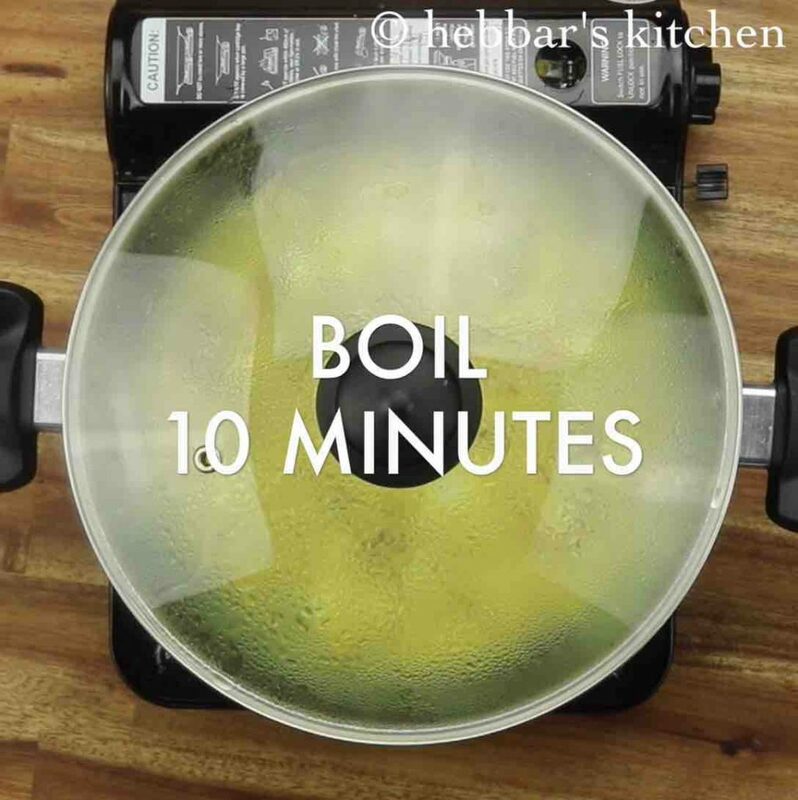 in a small bowl dissolve 1 tbsp besan in ¼ cup water. mix to smooth and lump free batter. 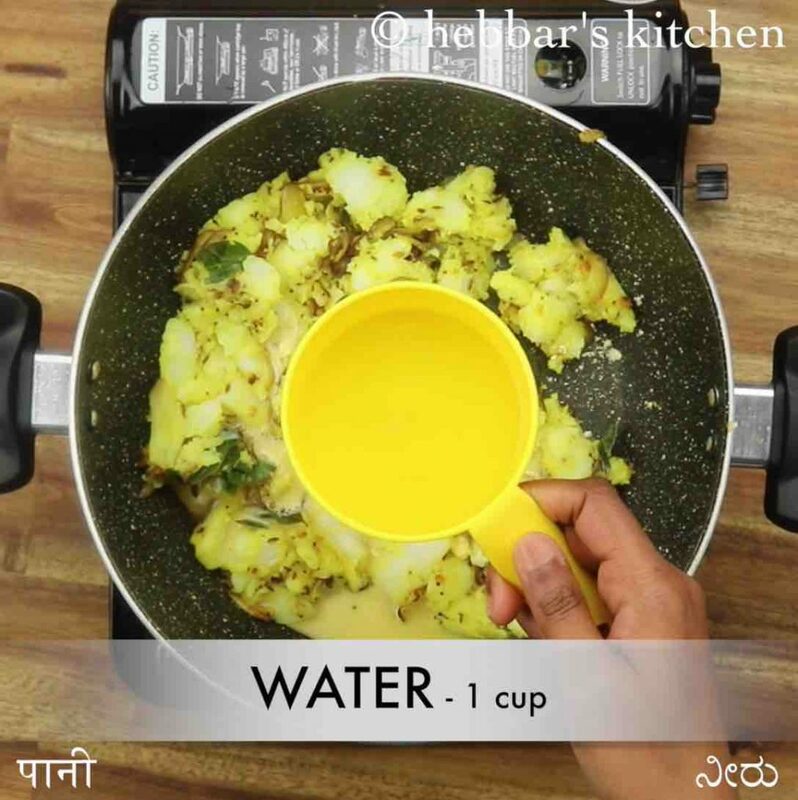 pour the besan mixture over aloo. also, add 1 cup water and mix well. cover and cook for 10 minutes or until the besan is cooked well. 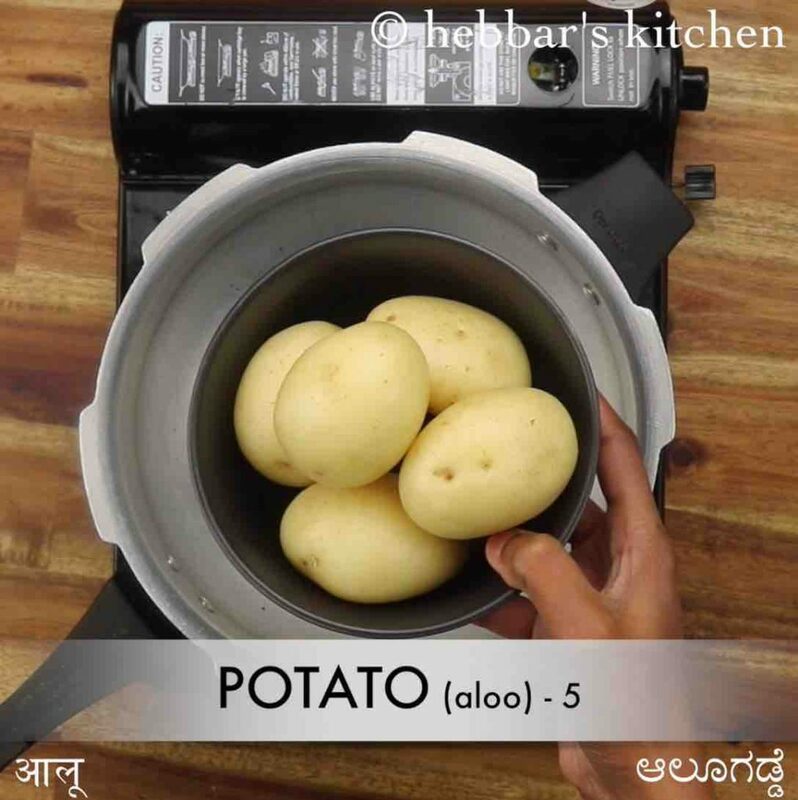 after 10 minutes the aloo bhaji will thicken, so adjust consistency as required. 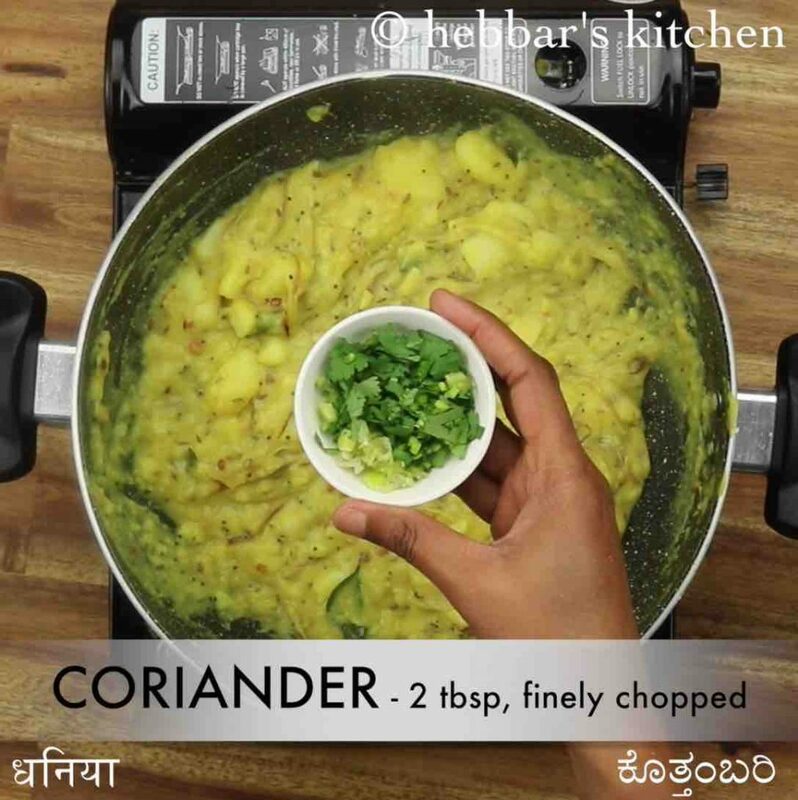 furthermore add 2 tbsp coriander, 1 tsp lemon juice and mix well. finally, enjoy poori masala with hot poori or chapati. firstly, pressure cook 5 potato for 4 whistles or until they are cooked well. 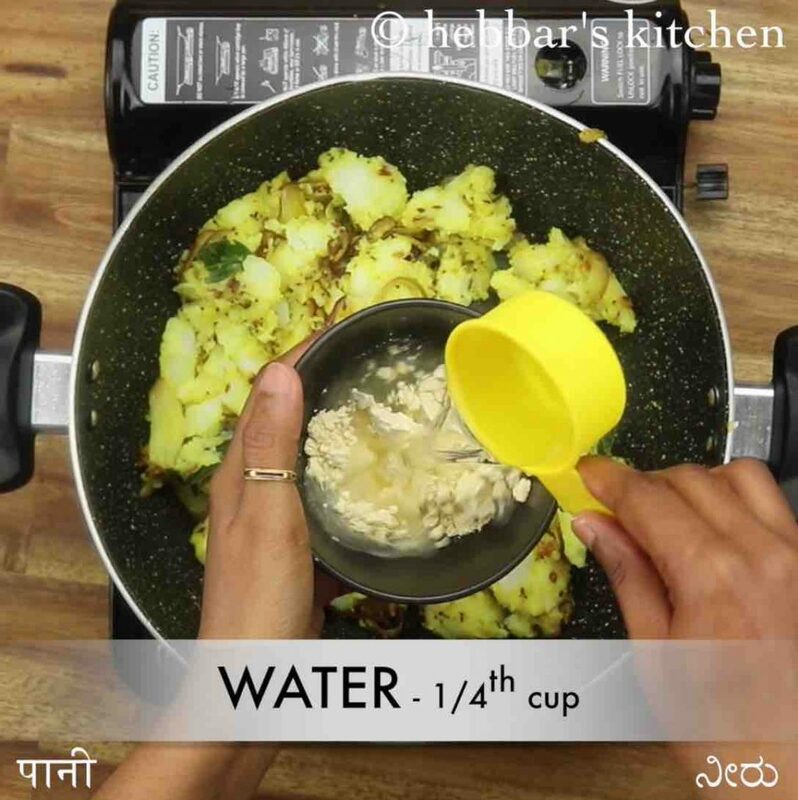 add ¼ tsp salt while cooking potato to enhance flavour. peel the skin of potato and mash roughly. keep aside. 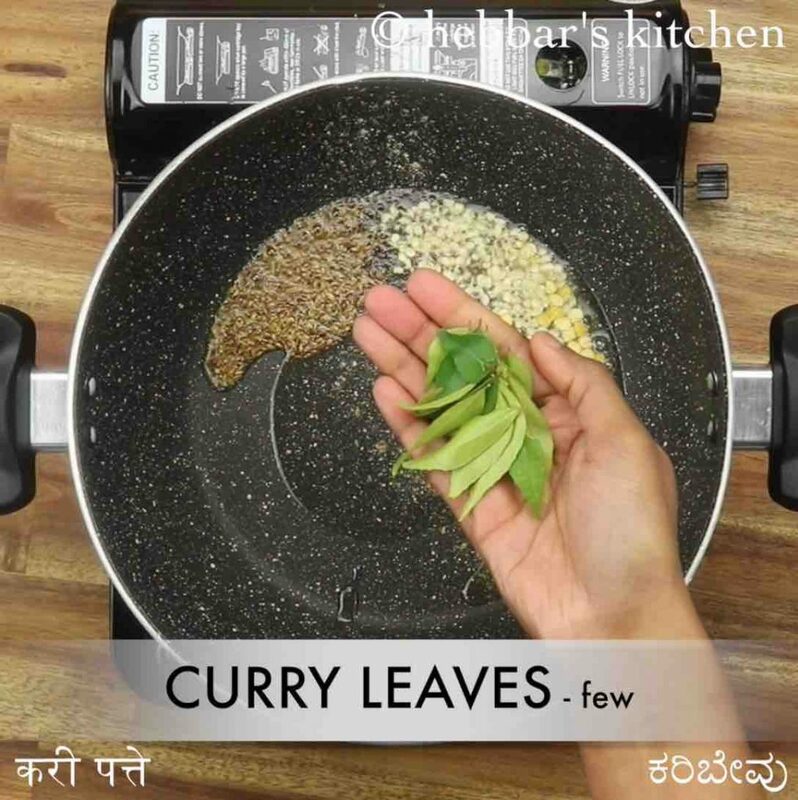 in a large kadai heat 3 tsp oil and splutter 1 tsp mustard, 1 tsp chana dal, ½ tsp cumin, 1 tsp urad dal, pinch hing, few curry leaves, 1 chilli and 1 inch ginger. firstly, add tomato as a variation to aloo poori masala for tanginess. additionally, adding besan will thicken once cooled, so adjust consistency as required. 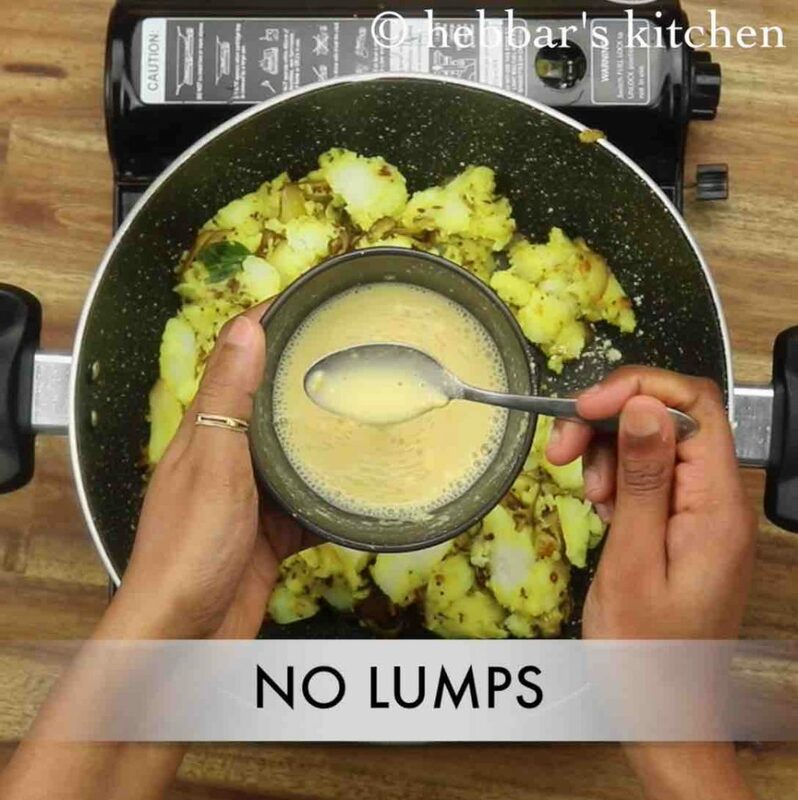 furthermore, do not mash aloo completely, the bite pieces will make bhaji tastier. finally, poori masala recipe tastes great when prepared slightly spicy.